Nova Scotia comes in second place as friendliest province (after PEI), and also second funniest accent (after Newfoundland). But don't let these rankings fool you...Nova Scotia was probably my #1 favorite province to visit! Fun was literally around every corner. In Antigonish, we visited "The Wheel" pizza place. Apparently it is world famous, and though it is a teensy tiny building, the walls are full of memorabilia and photos of celebrities with "Wheel" boxes, claiming it is the best. We were introduced to this delicacy by a local, who admitted it really isn't great, but it does grow on you. (I unfortunately didn't get to taste test, as it is full of evil gluten). We decided to follow the trend of taking our photo with a box, which put us out a full dollar. Somewhere along the way to the North end of Nova Scotia we passed by this curious front yard. Naturally we pulled over to investigate. Yes, it is true. The lady living here (I met her as she drove out of her driveway and invited us to enjoy taking photos) recreates wood cut-out Simpsons characters, and sets them up on her lawn...just because. Well, why not? 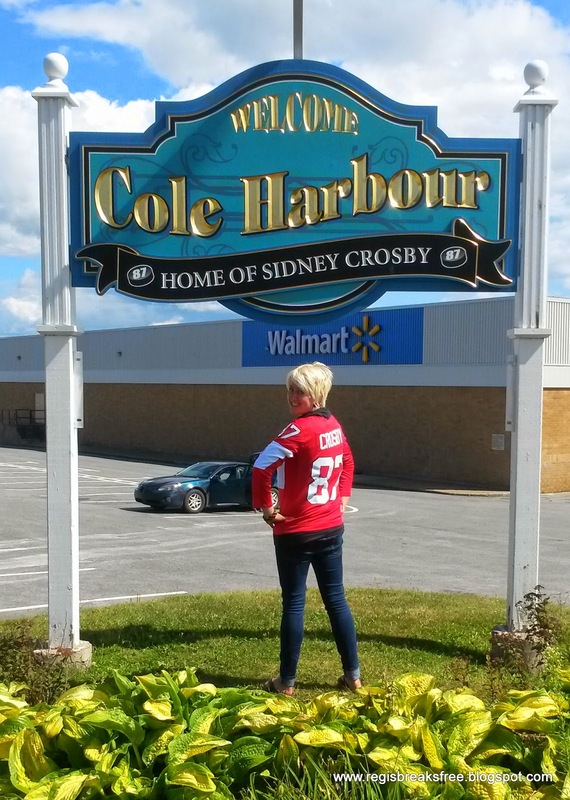 We also stopped in Cole Harbour to pay respects to the birthplace of Canada's Golden Boy, Sid the Kid. I got a few honks from cars passing by, as I proudly sported Team Canada's #87 jersey. 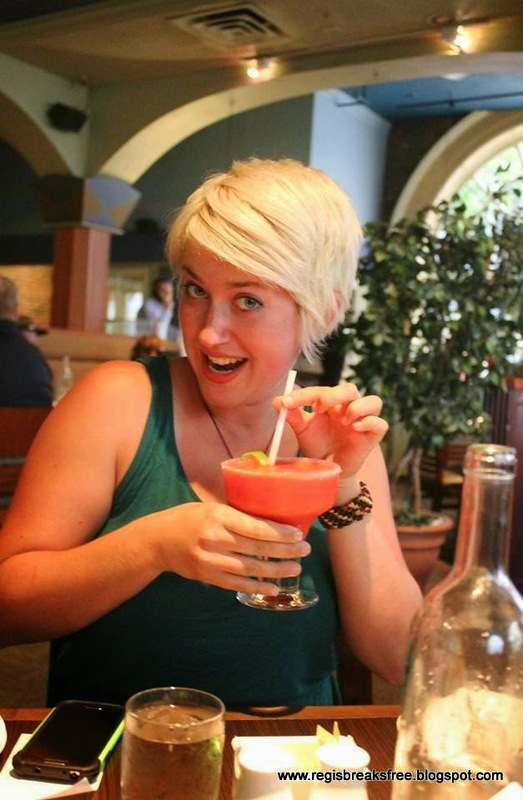 Pretending to be sophisticated to draw attention away from the greasy roadtrip hair! It was a pretty fancy restaurant and we were pretty unshowered and uncouth...but that made it all the better! 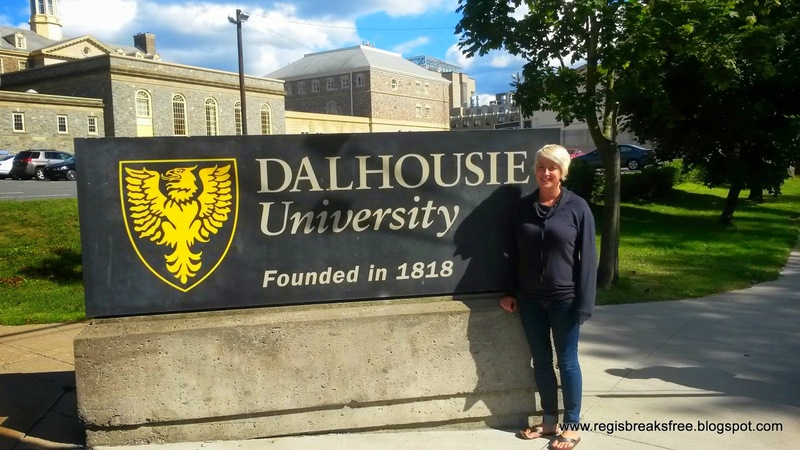 Since we were in Halifax anyway, I made everyone stop at Dalhouse University so I could check out the grounds. Its kind of a dream of mine to attend this school someday! 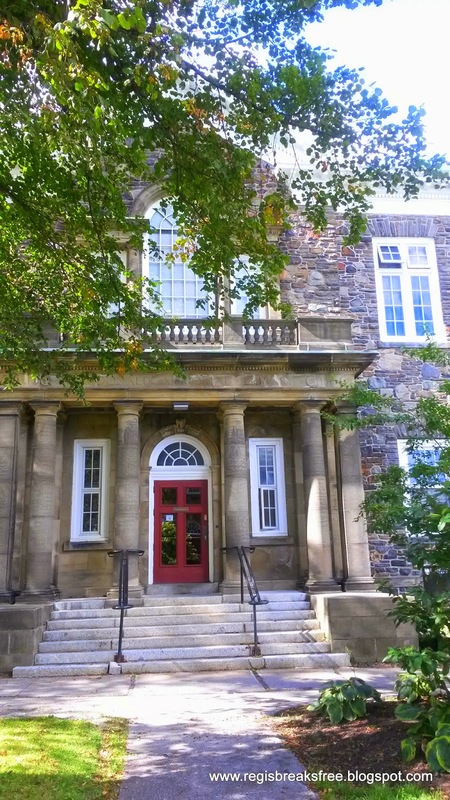 I mean, really...who wouldn't want to go to school here, when THIS is what the library looks like?! Nova Scotia was beautiful, fun, and homey. I definitely think I could live there. Coming up: The most picturesque 12 hours of my life...at Peggy's Cove, NS.